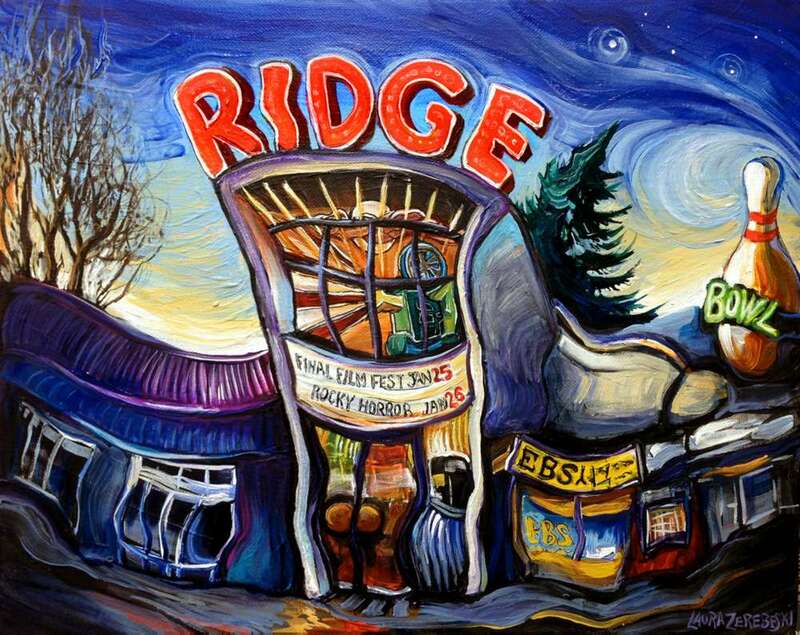 The Ridge theatre is another longstanding Vancouver landmark that has been consumed by condofication. It closed for good on Sunday, February 3 after 63 years. I remember going there when I first moved to Vancouver. I went to the Rocky Horror Picture show with friends in school, Spike & Mike’s Animation Festivals with dates, and even “Movies for Mommies” after I had my son. It was kind of like the Ridge went through phases of life with me. I painted it at twilight like a big exclamation mark. Adios, Ridge.